What Would You Do With 300 Bare Big Block Motors? Oh, the possibilities are endless aren’t they? With 300 variations of the coveted Big Block motor, an engine lies for every type of application you could imagine. A seller has posted their collection of the motors on eBay and can be yours for the taking. Let’s delve in, shall we? 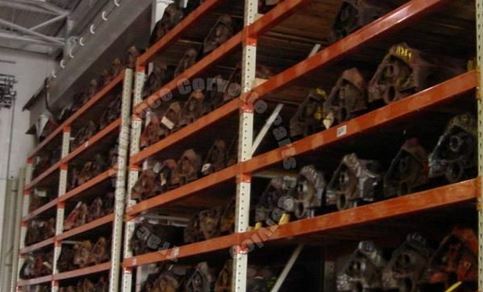 The sellers have collected the motors of 40 years, and are ready to be dropped into General Motors vehicles spanning the 1960s to 1990s. To name a few of the displacements, the collection includes 396s, 402s, 454s, and ginormous 502-cubic inch V8s. The listing does not include any of the rare Chevrolet, 1958 to 1965 348 or 409 “W Engine” Blocks, which were considered to be the predecessor to the Mark IV Big Block Engines, but they are included with the entire lot. The seller is asking $499,999 for the whole shebang, which seems fair to us. The collection is a site to marvel alone, and could be a real museum piece down the road. Or, you could become the biggest gear head ever and find a car for each of the 300 engines. We certainly wouldn’t judge you, as it is ever so tempting.